Caring for a family member or elder can be quite tiresome. Whether the care be required after an operation, or just simply the member cannot get around as easily, CareMaster Medical Services has some options for you. We offer some of the most cost-effective and dependable homecare in the industry today. From tasks like meal preparation and light housekeeping to skilled care such as wound care or home infusion, CareMaster has you covered. Our personnel go through an intensive hiring and training process to ensure that each patient’s specific needs are being met. Although our staff is very qualified to provide the care, we specialize is finding that perfect match for your loved one. Our private duty department offers these services and more to any families in need throughout the entire State of Georgia and Alabama. CareMaster accepts most private insurance policies, long-term care polices, and private pay. Call us today to find out what options are available for you! 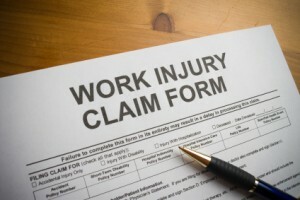 If you or a loved one is injured on the job, the employer is required to pay workers’ compensation benefits. These benefits can provide the care that may be required after a traumatic event in the workplace. CareMaster specializes in programs for spinal cord and brain injury patients. We work with case managers, physicians, insurance company adjusters, and state programs to ensure that the proper care is being provided. CareMaster takes pride in itself for its’ results oriented care. Whether the goal is to return to work or prevent future hospitalizations, you can rest assured CareMaster’s team of certified nursing assistants and nurses are providing top quality, and cost effective care. If you need assistance with homecare regarding a workers’ compensation claims please call us today.